Eddie Jones has suggested the Spice Girls should perform England's 'Swing Low' anthem to combat New Zealand's haka. The British pop group - minus Victoria Beckham - announced a comeback tour this week with six confirmed UK performances dates. But England rugby head coach Jones joked Twickenham should be a venue on their list. Asked if he would like England fans to welcome New Zealand's haka with their 'Swing Low' anthem, Jones said: "At that stage of the game they could be playing Spice Girls I wouldn't know what's being played. "They're making a comeback aren't they? So maybe they could sing it that time." 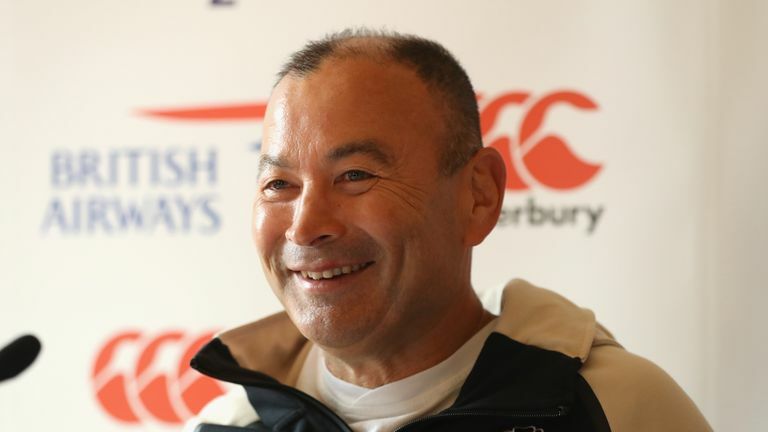 Jones refused to 'spice' up the fixture any more than an autumn Test, though, after reporters suggested the match could give an indication of England's credentials for the 2019 World Cup in Japan. "We've got a number of rounds before the World Cup," said Jones. "You can win points in rounds but you can't win the World Cup."